Several weeks ago, I was invited to “Be Well Connect” – another fantastic event held by my friends at the Manitoba Canola Growers. Since I had shown up empty-handed to the last couple of events, I figured it was time to bring along a little representation of what I do, to share with the group. After about 4 seconds of thought, I decided to make a batch of my domino pins for the group. 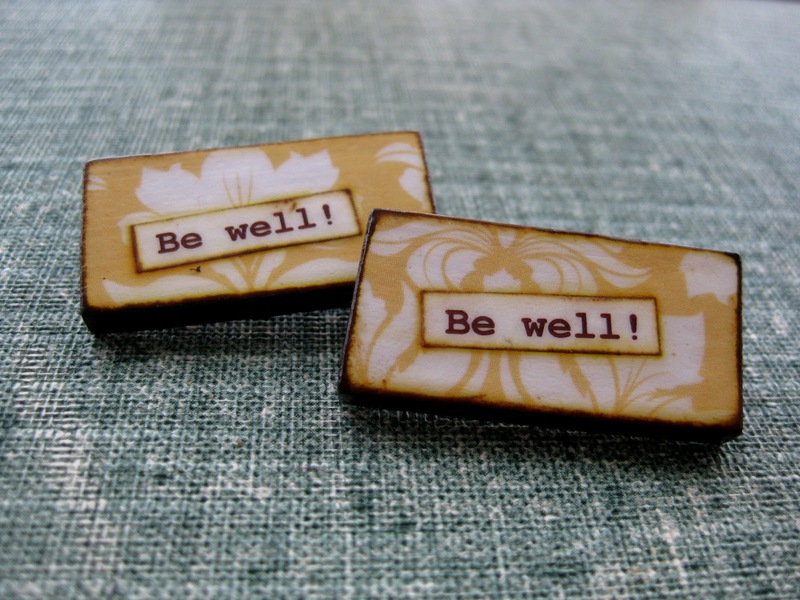 There was no question that they would be canola yellow, and the “Be well!” tagline was already written for me; all I had to do was round up some dominoes and put them together. Everybody likes getting swag (and especially something handmade), but I was still very happy to see everyone’s reaction to the pins. It was a wonderful evening, but being able to share my craft with such a warm and generous group of people made if just that much more special for me. I haven’t been making the domino pins for craft sales for the past two years, but I am always accepting custom orders of 3 pins or more. Please contact me for details. 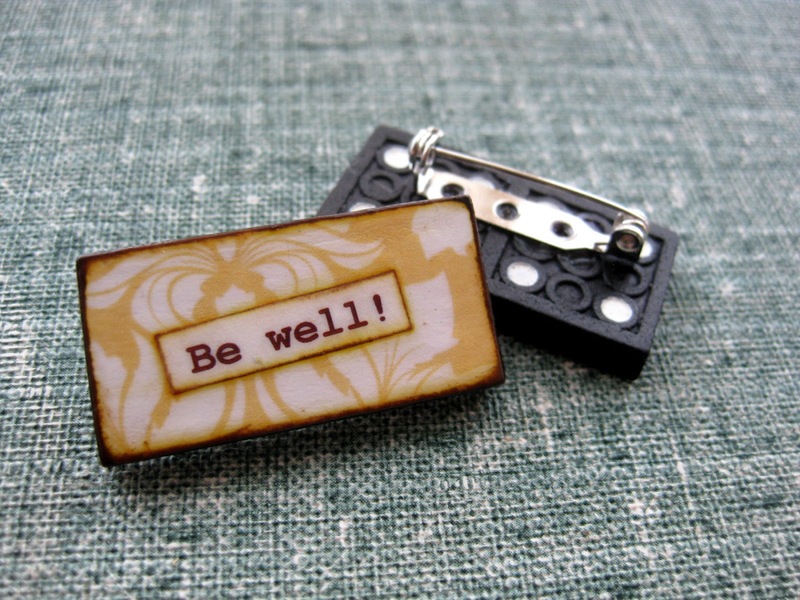 Custom pins are 3/$18 (plus shipping, if applicable).